When they said that cauliflower was the new kale, I didn’t believe them at first. Now, I’m a proud cauliflower convert. A surprisingly easy and tasty concoction! Fantastic way to sneak in some vegetables and replace the gluten if you so desire. It is different from real pizza crust, as it does not possess the doughy and soft texture. 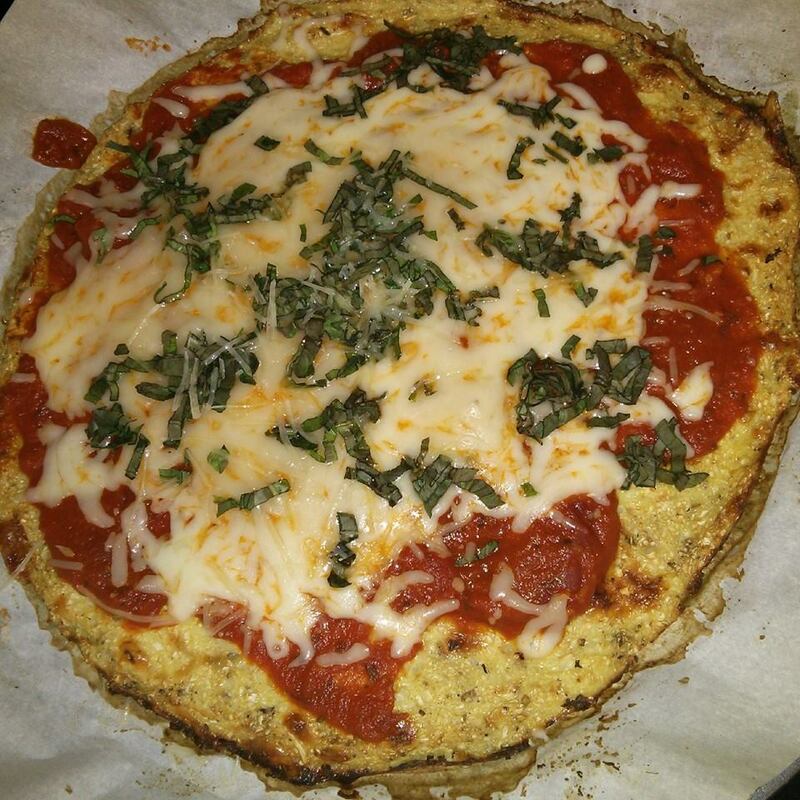 However this will likely win you over if you prefer thin-crust pizza – just ensure that you bake the cauliflower crust until very set and crisp! This dish is also less laboursome than making a ‘real’ pizza from scratch – no need to knead the dough and place it aside for the yeast to let it rise, etc. Enjoy! This combination is fantastic! 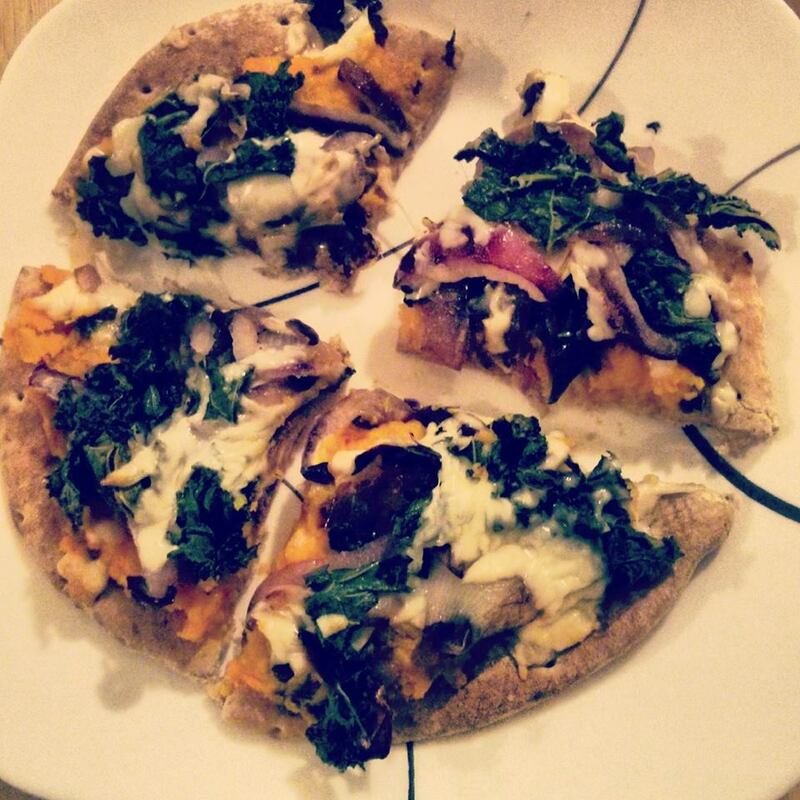 On a whole wheat greek pita, I used a creamy sweet potato base instead of tomato sauce and topped it off with some caramelized onion, kale and mozzarella cheese! A very inexpensive, quick and healthy vegetarian recipe! If you’re cooking for one person, make four at a time and use it for lunches that week or freeze for later.